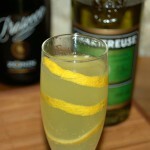 I have preferred French 75 with gin, not with brandy. For me, it was more interesting. I know that vodka and sparkling wine creates a weird mixture with a taste of fermented grape juice and with an effect of fizzy vodka (it leads to quick and heavy intoxication if somebody doesn’t know). Gin is grain spirit too so I was curious why it’s so popular and why it doesn’t work like a vodka. 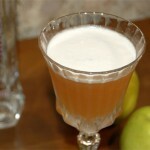 «The Savoy Cocktail Book» recipe calls for a «spoonful powdered sugar», and I find it dubious. A spoon of sugar equals about an ounce of simple syrup. Even mixed with two ounces of gin, it will be too sweet for me. 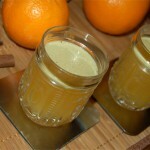 So I make bold to re-mix slightly the recipe and decrease sugar amount. 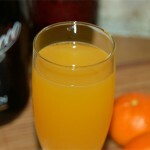 Also I love it served in Champagne flute and not in tall glass. Flute looks more sophisticated and a bit defiant. 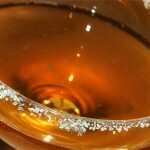 dry Champagne (Zonin Prosecco Brut). 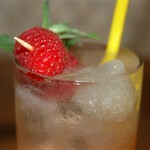 Shake with ice all ingredients except sparkling wine and strain into Champagne flute. 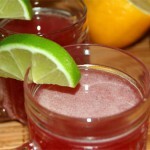 Top with sparkling wine and garnish with a piece of lemon zest. Meanwhile I’ve made a knot of lemon zest as Simon Difford suggests. My fears to get something like sparkling vodka were dismissed. 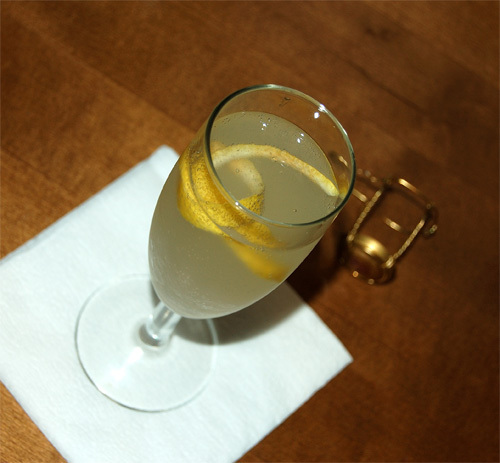 My French 75 starts with smooth and light wine flavour, and lemon zest is also there with some tartness. On the swallow subtle notes of juniper and citrus move to the front. Then in the aftertaste prosecco comes again bringing fine taste of sparkling grape juice that combines so well with the background of gin herbs and citruses. 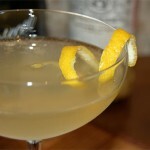 Light dryness from prosecco works perfectly with the pair of strong dry gin and sweetened lemon juice. They benefit from each other: gin gets some sweetness and lightness and prosecco adds nice herbal flavour to its bubbly crispness. That results in light and dry cocktail with delicate flavour and unspeakable freshness.